QUALITY MATERIAL: Made of high-quality acrylic lens. 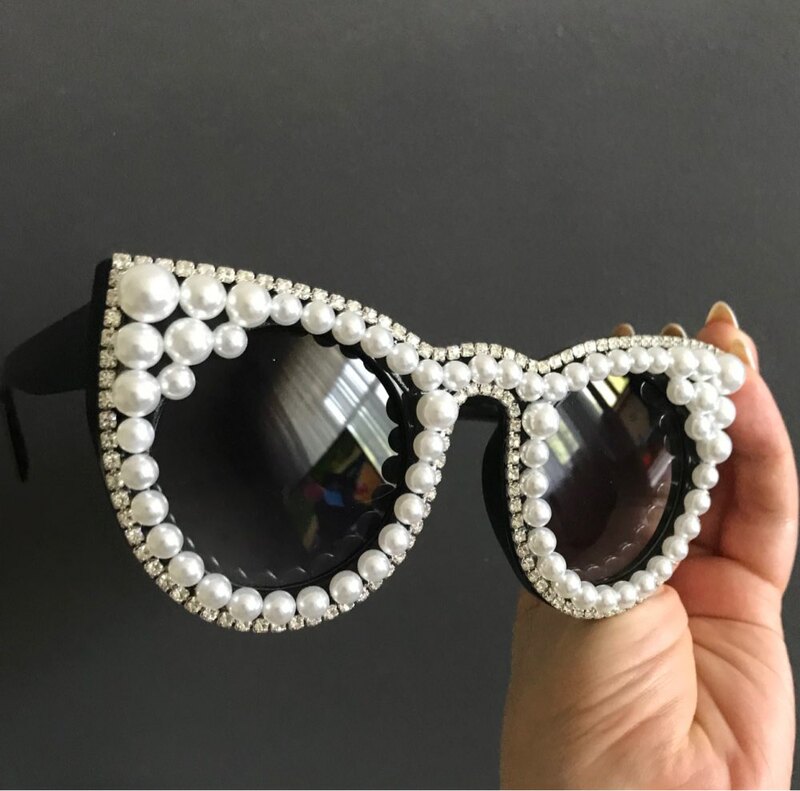 Very stylish cat eye frame with luxurious faux pearl decoration that adds to your glamour. Flexible hinges that ensure a comfortable fit. Ergonomic design of nose pads for a stable hold and reduces the pressure on your nose bridge. 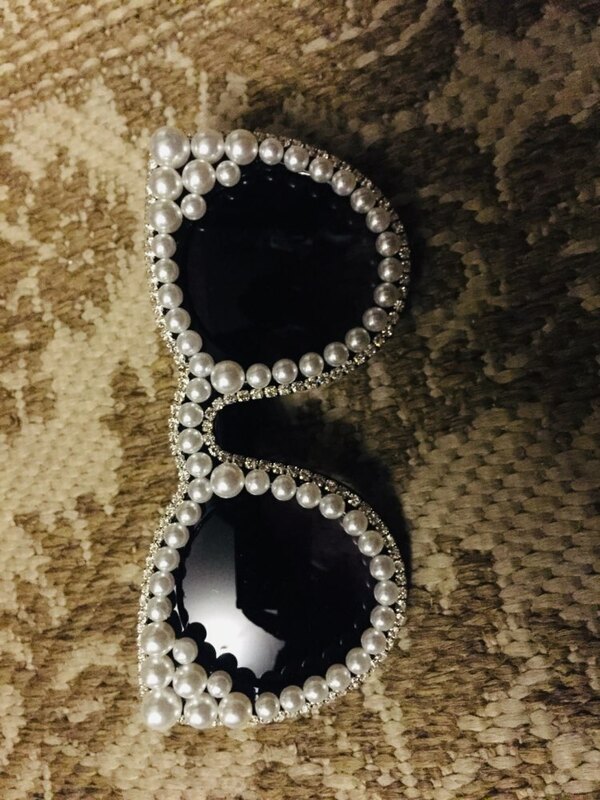 LENS: High-quality UV400 cat eye lens with beautiful faux pearls. Impact-resistant. High-grade acrylic. 65 x 47 mm (W x L). Glasses IS THE BOMB!!! 100% good product. Unfortunately, there was no cover, only plastic bag AND yellow cloth to wipe.